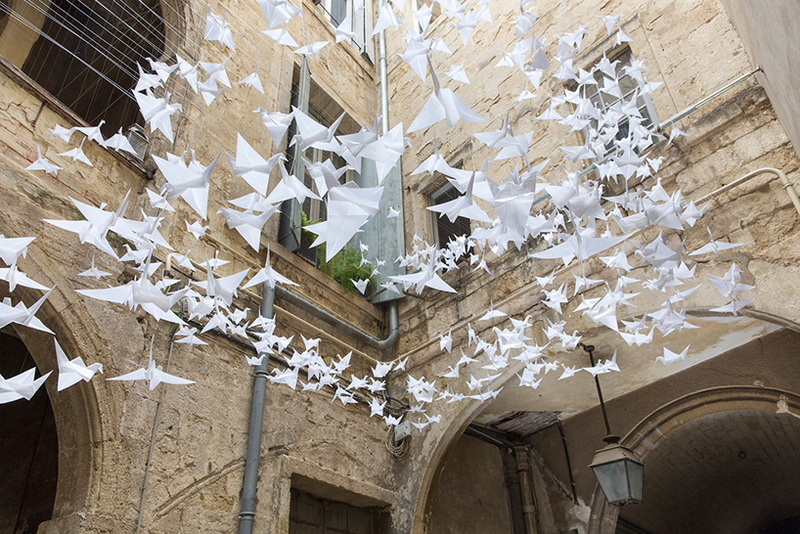 birds in design include graphics, illustrations, photographs, sculptures and design objects relating to birds. 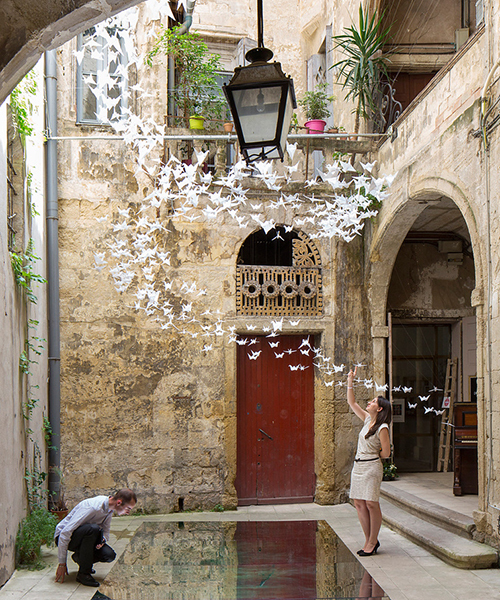 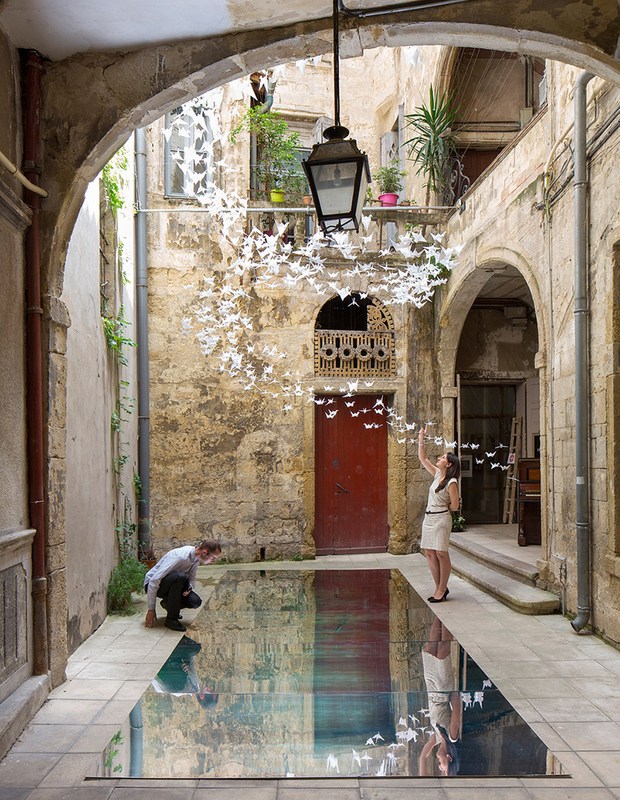 for the festival des architectures vives, a team of designers from france has created a whimsical and delicate artistic installation in montpellier. 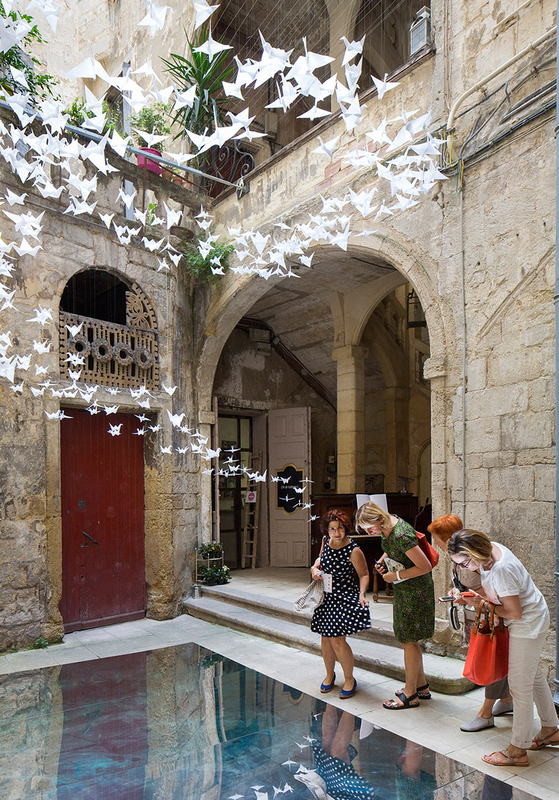 the annual event reflects on architecture and its development within the urban context by inviting visitors to discover contemporary works in unique sites across the city — courtyards of private hotels, typically restricted to the public, open their doors to host expansive media art installations and exhibitions. 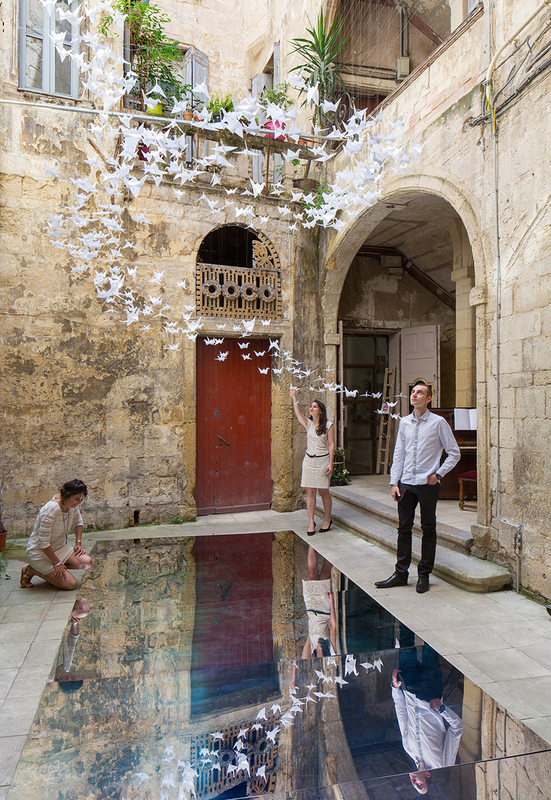 maxime derrouch, typhaine le goff and emeline marty have envisioned ‘in n’ over’ as ‘a moment of dreaming and contemplation’. 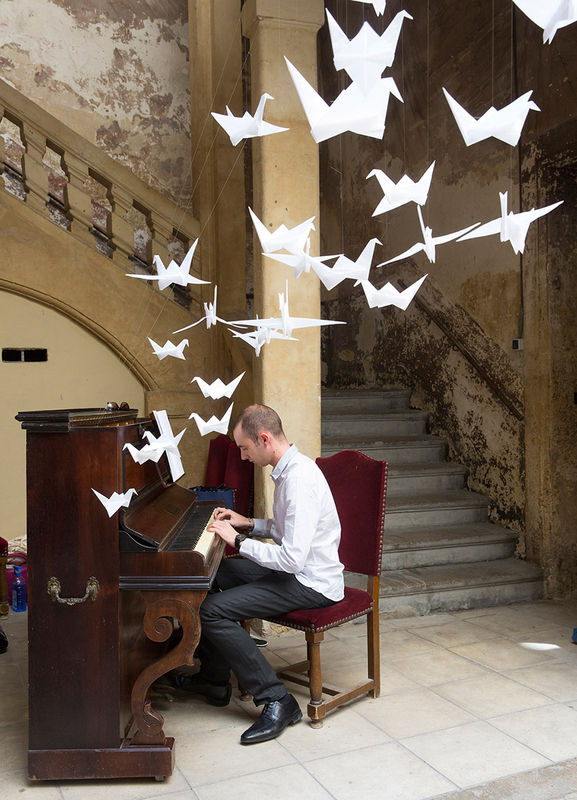 the team has suspended dozens of individually crafted paper origami cranes from the courtyard ceiling, arranging them in a spiraling configuration overhead. 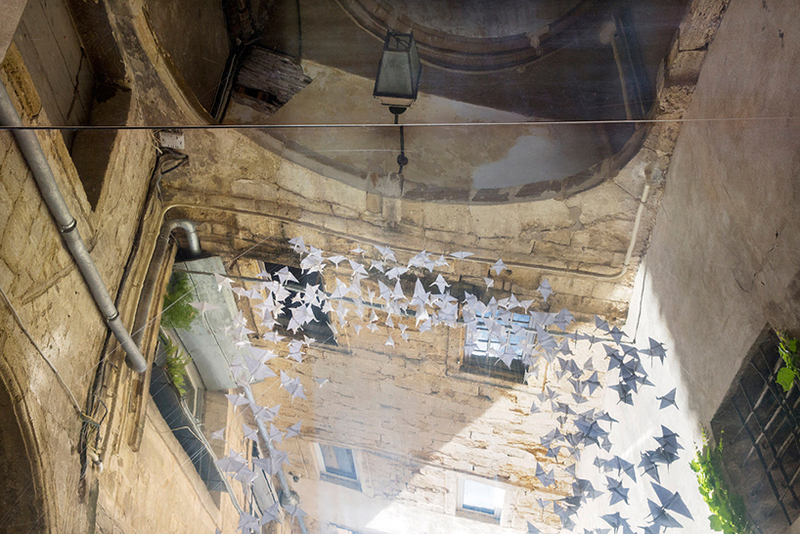 visitors enter a bright and sunny space canopied by a flock of white birds ranging in size — smaller creatures are placed closer to the ground and become gradually larger as they ascend through the chamber. 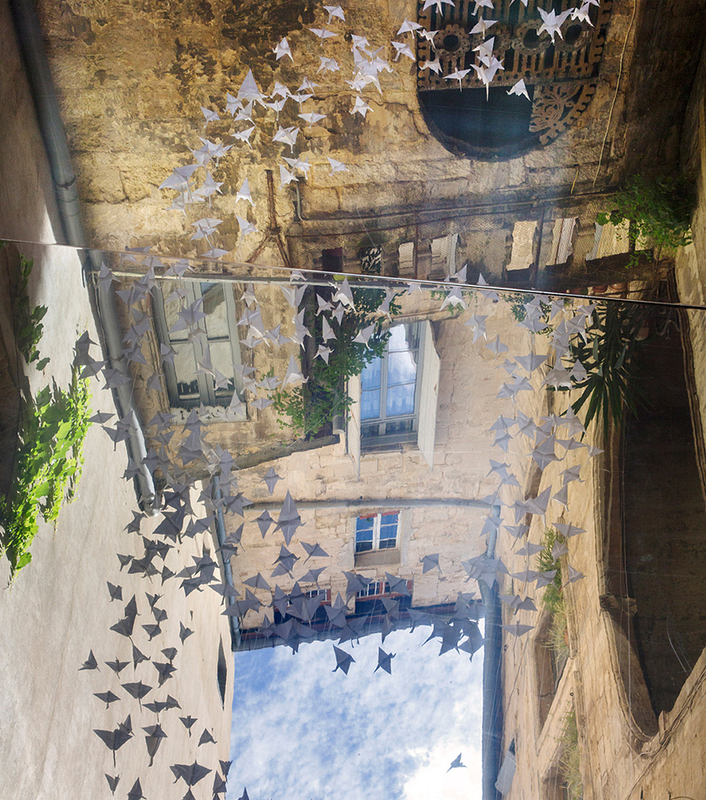 beneath viewers’ feet, a mirrored surface spans the floor, allowing them to peer at the underside of the birds as they stretch through the air. 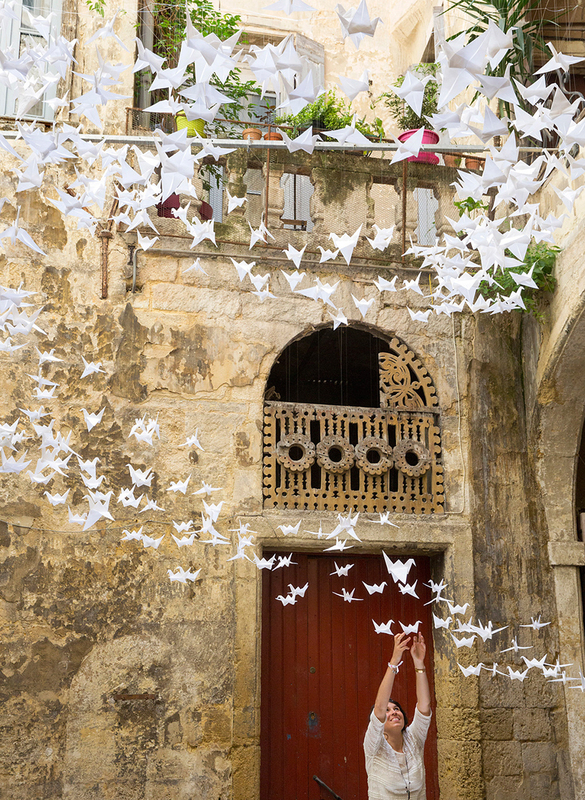 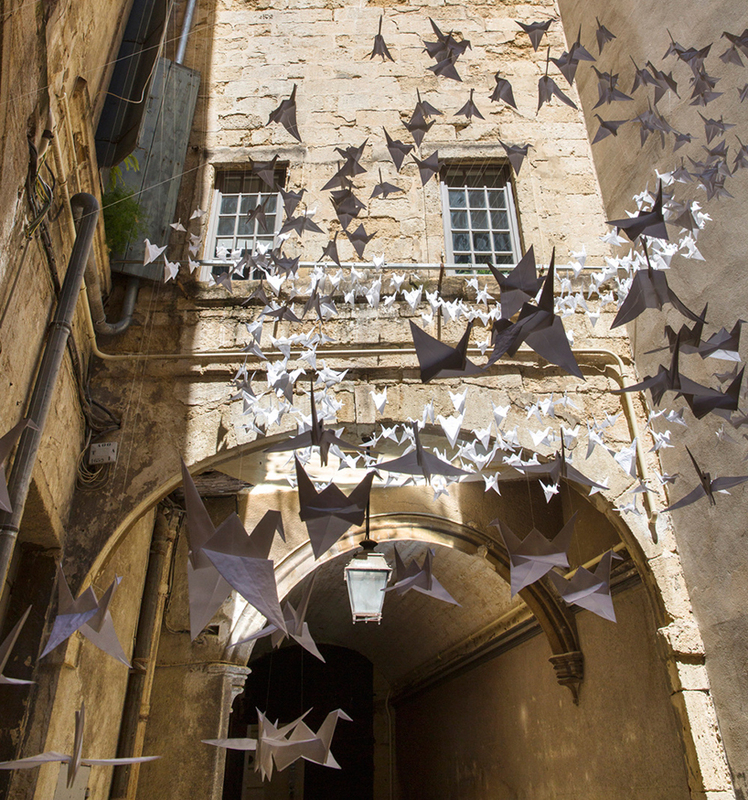 the installation intends to symbolize the themes of innovation and ideas, where the miniature birds rise up through the historic courtyard and get bigger as they aim higher.